Our School Wins the BRONZE Modeshift Stars Award! We are celebrating the hard work of our fantastic School Council, Miss Lewis (School Council Leader), and Mr Westerberg (one of our school Governors) for achieving the Bronze Modeshift Stars award. This award is about encouraging safe travel arrangements to and from school and within the community. As a school we have led many initiatives to enable us to win this award, including our Walk to School assembly, visit from the School Crossing Patrol, and our Road Safety Shop. 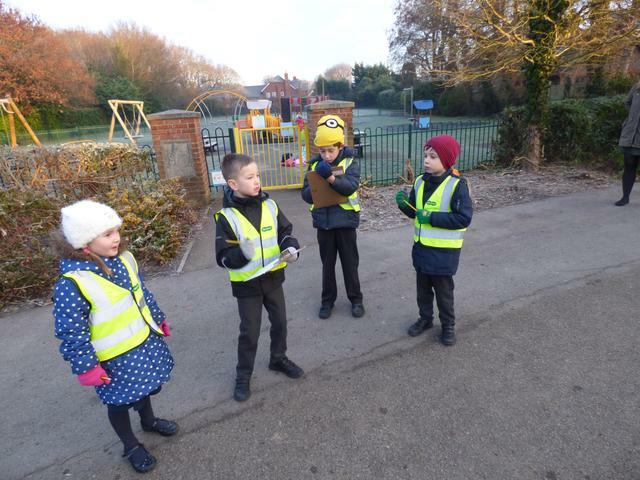 One of the initiatives was to introduce ‘Park and Stride’ to encourage being safer and active on your journey to school. You can now park at Abshot Community Centre and walk from there, and we hope you will join in with this initiative. A map showing the location of Abshot Community Centre and surrounding roads can be seen below. Click here to see more about Modeshift Awards. 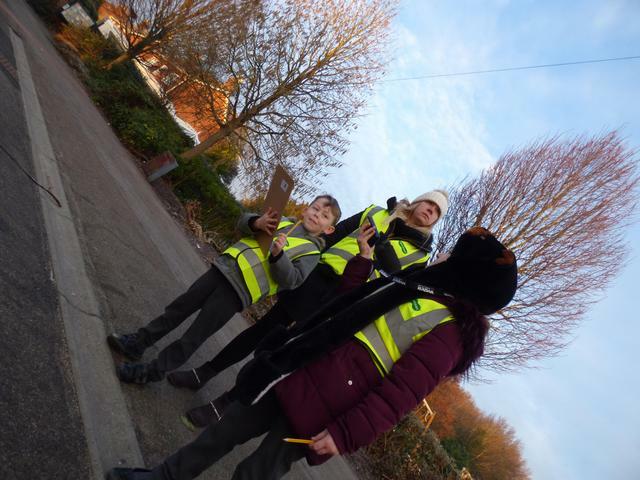 Our school councillors spent time with Mr Jump and Miss Lewis monitoring the traffic on Warsash Road during the morning school run. They used a 'speed tracking device' and recorded the number of cars and how fast the vehicles were going. 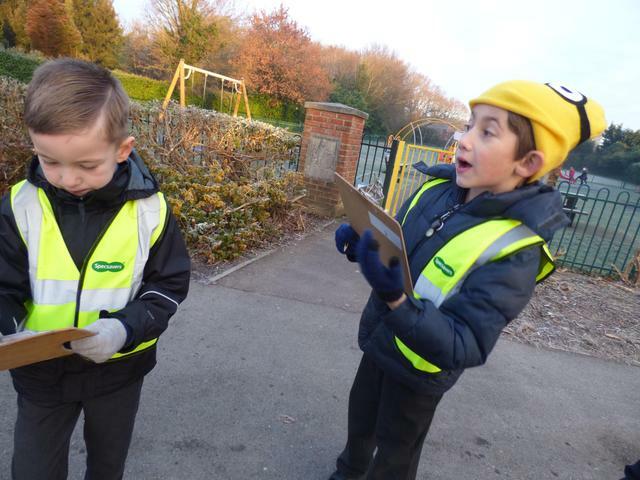 We are gathering information for the school's Travel Plan and to raise awareness about travelling safely to and from school. 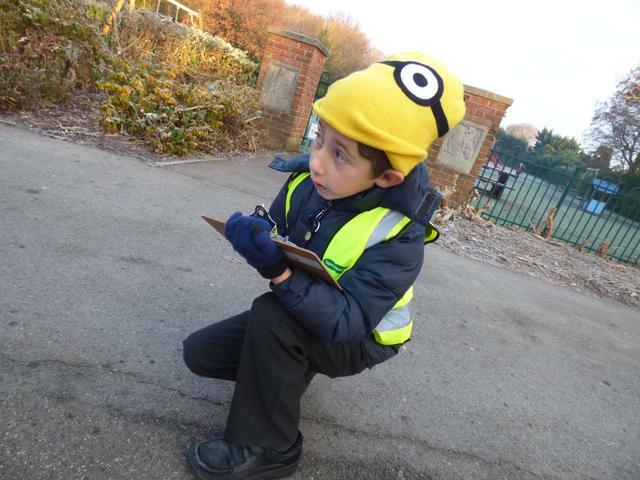 The children were amazed by the amount of traffic and how busy the road was. 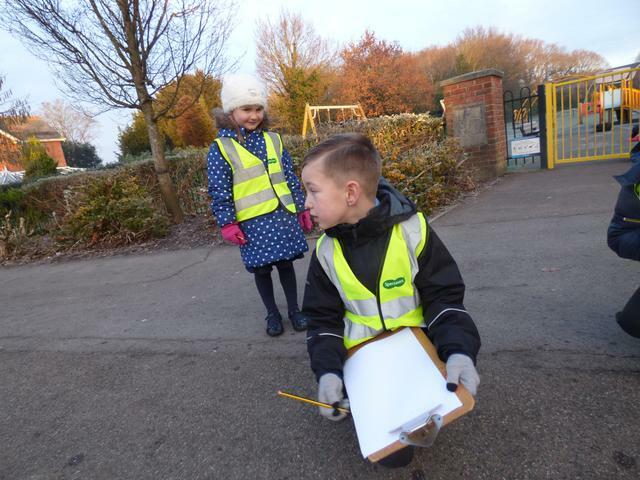 Our Early Years children have been educating themselves about which things are reflective and are good to be used to keep safe when walking in the dark. They experimented with different colours to decide which were suitable to wear so that they could be seen. Very kindly, the lollipop man came into school and talked to the children about how they can keep safe when crossing the roads. The children thoroughly enjoyed what he had to say and listened to what they needed to do to keep safe. After the success of last year Road Safety shop, the newly elected school council were eager to repeat it. At the end of the school day, the children manned two shops on both playgrounds to sell a variety of reflective gadgets to raise money for another scooter pod for the children to store their scooters in during the school day. We would like to thank Specsavers for donating us 200 hi-vis jackets for the children to wear when we go on trips out into the community. 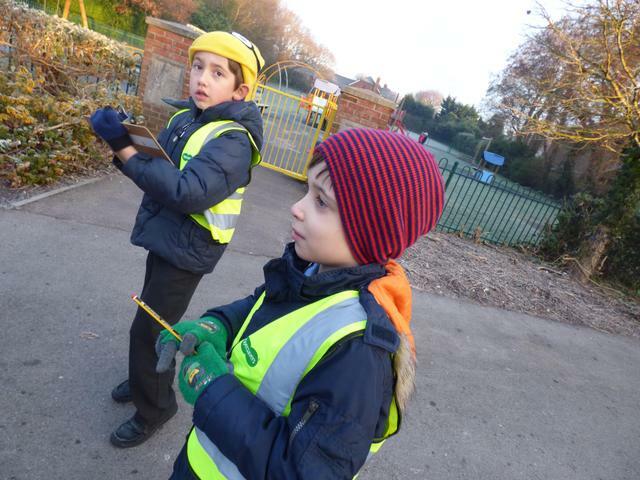 It was a perfect day for the children to wear them to promote being safe when crossing the roads. We were delighted that our shop raised £116!